Pr1me Noir Playing Cards, Bicycle Karnival Elite Playing Cards – scheduled. Ritual Premier Playing Cards – available. 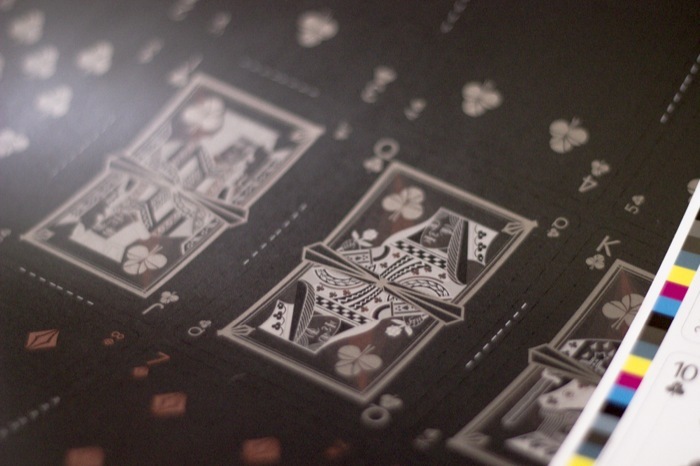 The Amazing Deck by Flim Flam Films, The Black Book of Cards – scheduled. 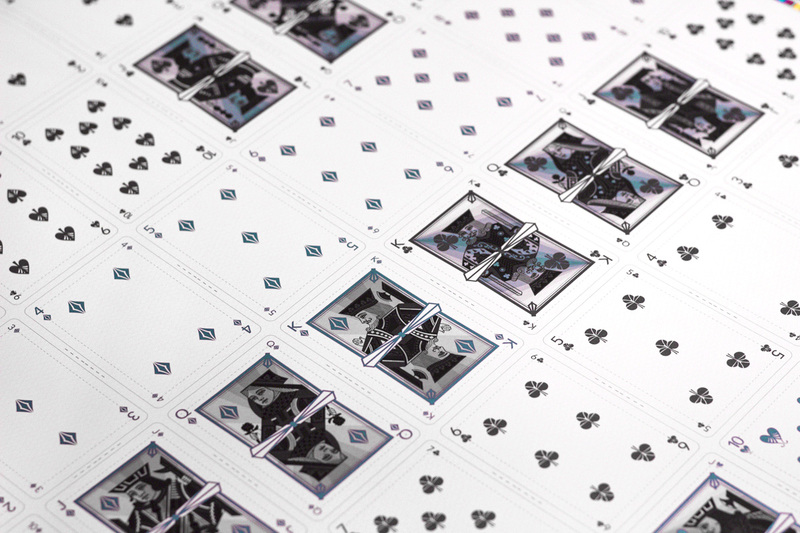 Bicycle Venexiana Playing Cards – was removed from JumpStartCity and will be on Kickstarter in July, 2013. Origins Playing Cards – new pictures. Karnival Playing Cards: Gold Edition, Discoverie Playing Cards – scheduled. Alice of Wonderland Playing Cards by Juan Solorzano – on Kickstarter. Westeros’ Wildlife (now Royal Wilderness) Playing Cards by Brett Dudo – on Kickstarter. Bicycle Freakshow Playing Cards – will be available July 1, 2013. Encarded (Tendril and Aurum Playing Cards) are going to start a new project on Kickstarter dedicated to two new decks – Deco Playing Cards. They will be sold in a pair (2,500 sets total). The cards will be on the highest-end Bee Casino stock with the Magic finish. Deco Silver will be the light deck, with metallic silver, rich blue and white tones. 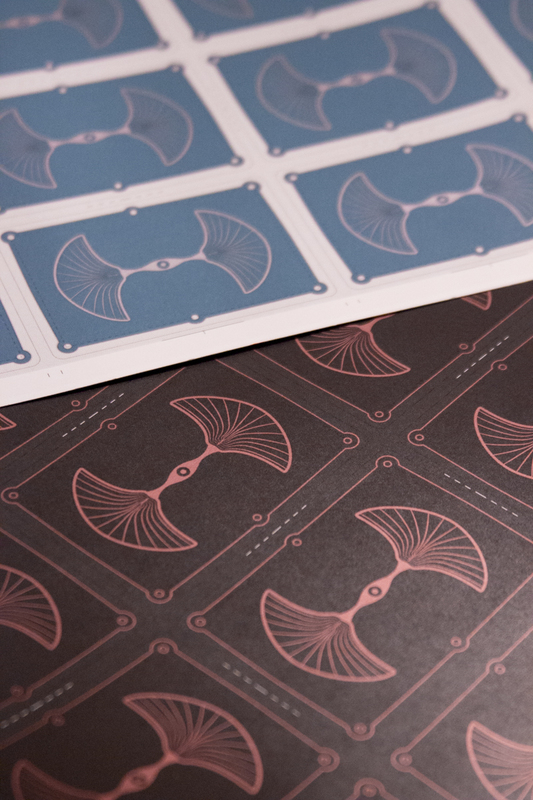 Deco Bronze will be the dark deck, with warm near-black colors, metallic red and metallic bronze.